Anderson’s Alternatives is a custom furniture shop, wood art gallery, and retail lumber outlet begun by Nathan Anderson in 2007. Sustainability is a priority for us. We sell and work with hardwoods and softwoods sourced from Northern California and the Pacific Northwest. The majority of our inventory is salvaged from beaches, rivers, yards, orchards, and construction demolition. We also provide custom milling services and mill all of our own lumber at a mill site in nearby Albion. Nathan Anderson first became interested in wood at 16 years old. While still in high school he started milling logs under the guidance of a veteran Sawyer with the intention of making that his career. Nathan started by recovering logs from local rivers and the Pacific Ocean and selling it one board at a time. Later he borrowed money from a friend to buy logs and lumber, resold them, and kept going from there. 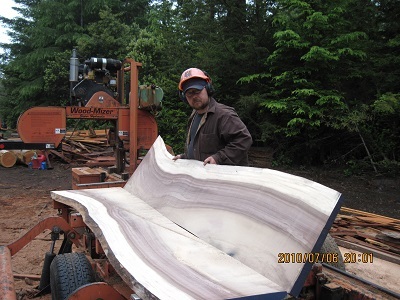 After working for 15 years as an intern he bought his own sawmill, a manual LT40 Wood-Mizer band mill, which he still uses today along with a super hydraulic LT40 Wood-Mizer and an Alaskan mill. Nathan Anderson: Owner, operator, sawyer, miller, general all round Chief! 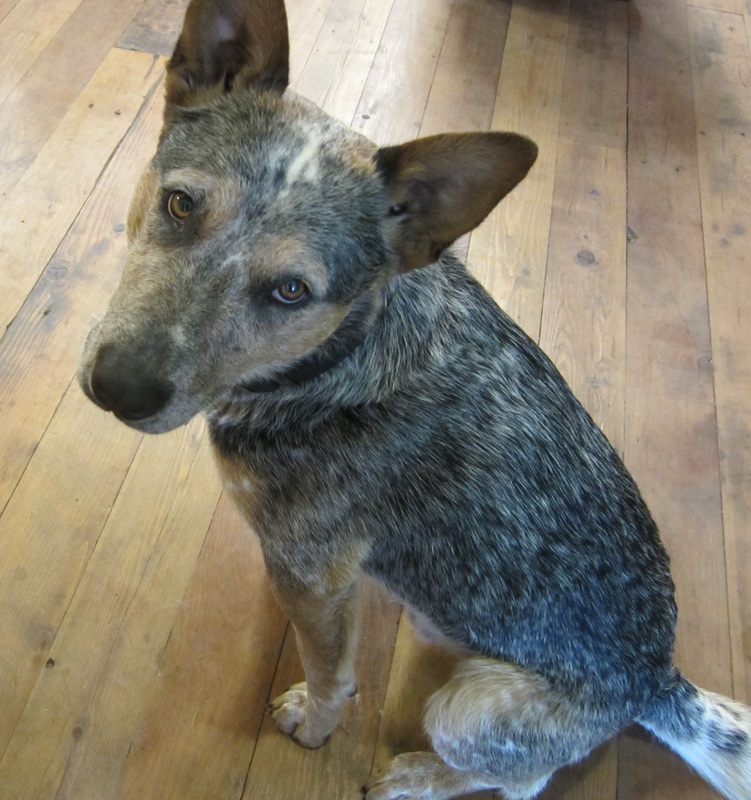 Guinness: Office Dog. Meets and greets humans and furry friends alike, always with a smile and a lick. Don’t try to call for him, he was born deaf but we just think it makes him extra special.